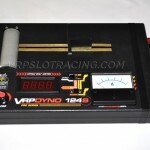 This VRP S2 series Dynamometer is able to test 1/24th and 1/32nd scale cars. 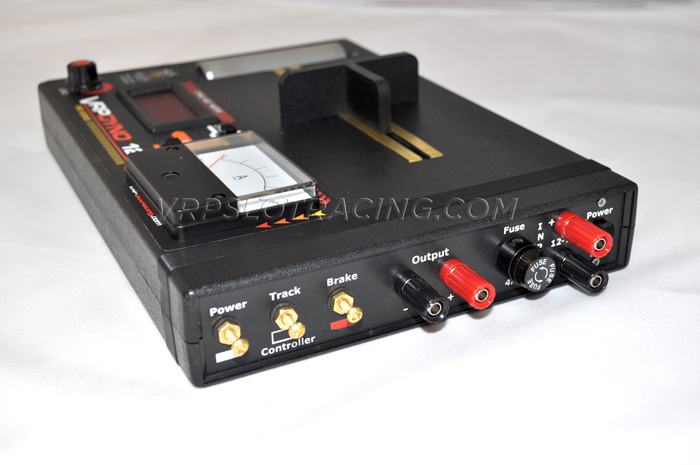 The S-2 Dyno can be powered by an external power supply from 8-14 volts DC supplying at least 8 Amps or greater. 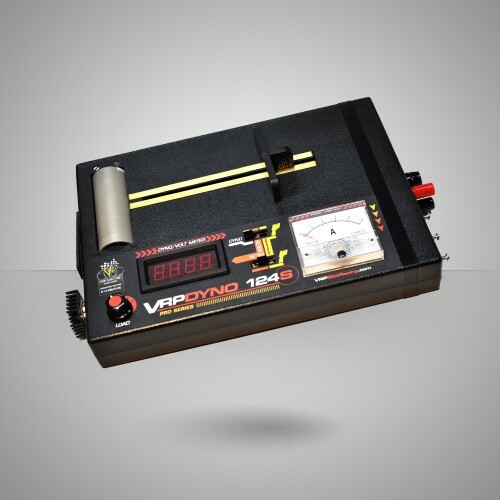 It measure the voltage generated by the internal motor that has been calibrated to simulate the amount of drag it takes to propel the car down the track without any group applied. Specifically, this model is built to accommodate the faster 1/24th scale cars up to the group 7 and including the open class cars. The higher the reading the faster the car is going. A bigger Amp meter (10 Amps) is added to measure the current that the car or an external motor draws. 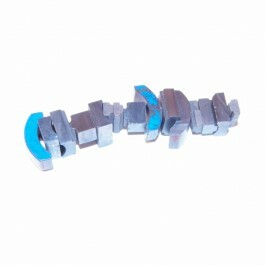 In addition higher rated components are used internally. 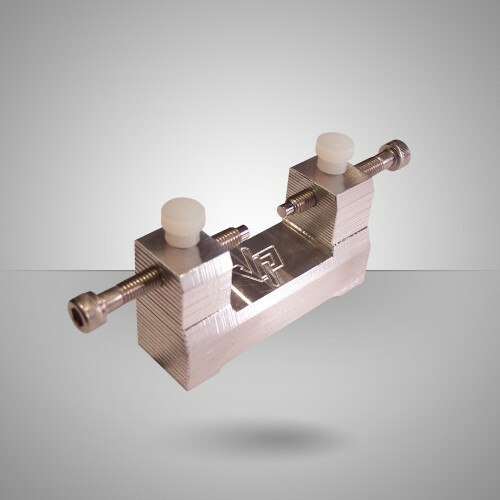 The Dyno provides a 4-position load switch that applies 3 different loads to the car under test. This simulates putting group on the track and gives an idea of the amount of torque the motor can handle as it slows down under the load. 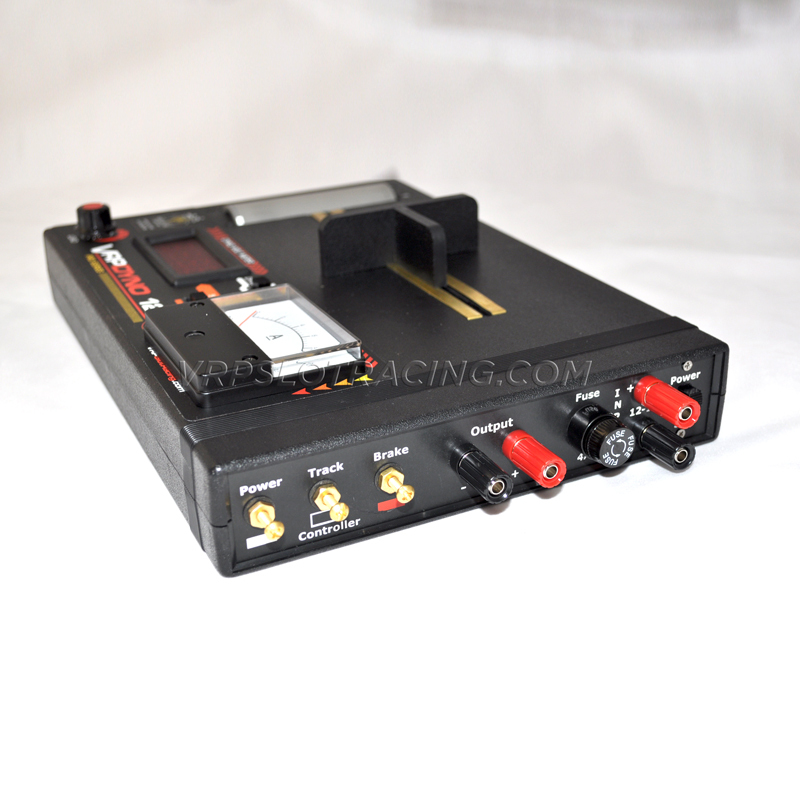 Operating the car with a controller is another feature that is provided to allow the user to simulate running the car using a controller. A 5-volt break-in switch is also provided to break in a car or an external motor, which can be connected separately. 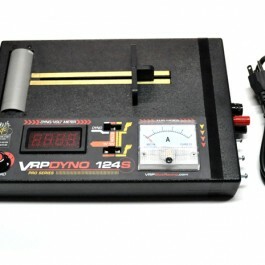 In addition a chart is provided with each Dynamometer showing the mapping of the internal motor for both RPM’S and MPH. Based on the Dyno reading, both RPM’S, and MPH can be interpolated from the supplied chart. 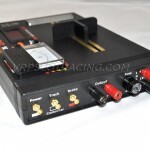 The S-2 Dyno can be powered by an external power supply from 8-14 volts DC supplying at least 8 Amps or greater. 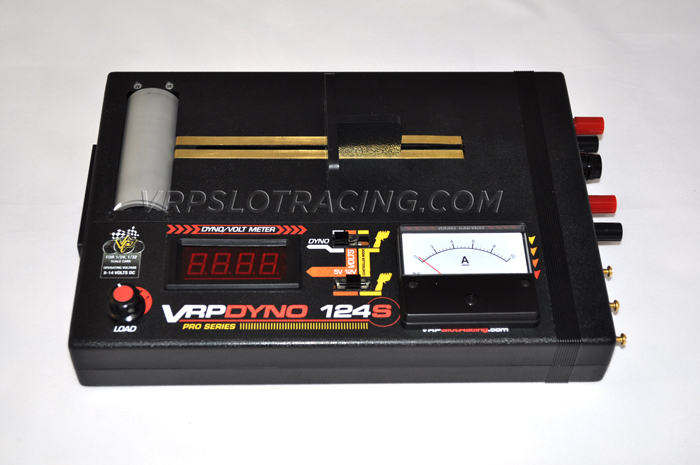 The Power Supply is not supplied with the dyno, but can be purchased from VRP. 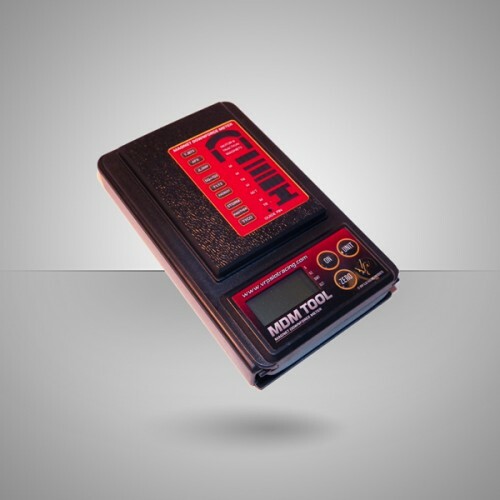 Bigger 10 Amp meter that can handle up to 10 Amps instead of a 5 Amps. 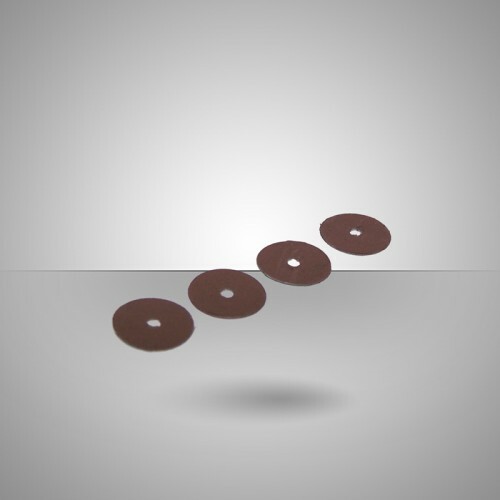 Internal electronics components are beefier to handle the higher currents. Two DC input connectors to connect an external Power Supply of up to 14 Volts. Wiring and components that can handle the higher currents and heat. Measures the speed of the Cars for both 1/24, and 1/32 Scale Cars. Measures and display’s the input voltages (5 or 12 -14 Volts) to the car. 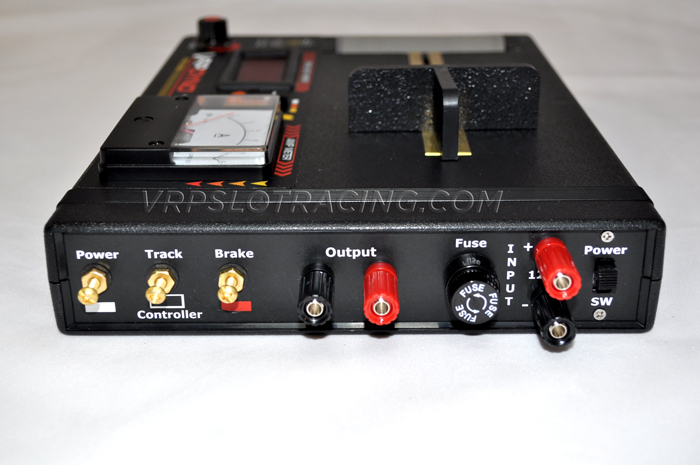 5-volt switch position feature to break-in a car or motor. 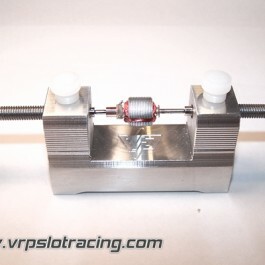 A 4-position Rotary Load switch that provides 3 different loads to the car. Output connectors for 5 or 12 volts to test or break-in an external motor. 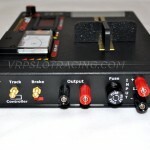 Ability to connect a controller to operate the car on the Dyno. Comes with full “How to Use” Instruction and mapping of the internal motor.